Have you ever wondered what your doctor, dietician, nutritionist, or chiropractor eats? I have to confess…. I have eaten some scary food in my day. I could also say with a great deal of confidence that health professionals don’t always practice what they preach. But as time has progressed, I have become increasingly fussy regarding what I choose to eat. 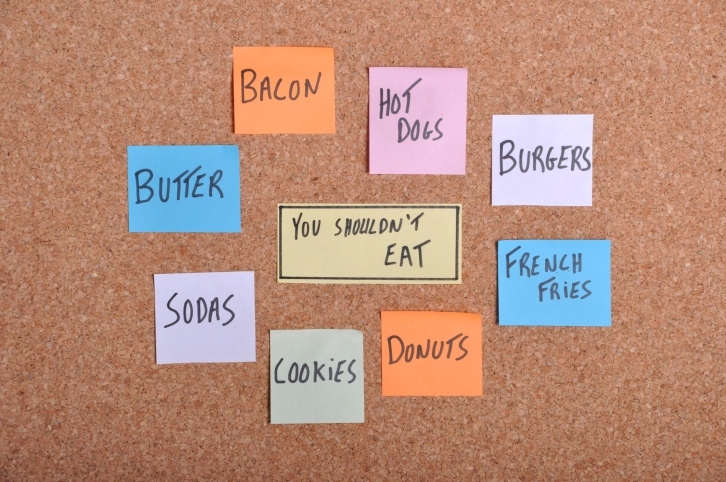 I avoid processed meats, deli meats, and canned meats, much like I would any other foods that are also full of fat, sodium, preservatives, nitrates, and empty calories. If you want meat, buy it fresh and prepare it yourself. This is a good call—and a safer one for your health. This is poison that you add to your coffee. Whether it is in liquid or powder form—steer clear! Can you pronounce the ingredients? Probably not. Instead, use five-percent cream or almond milk. Fear, fear…and more fear. It’s all caused from the uncertainty special interest groups express about consuming these foods; it’s not based on scientific evidence. Feeding commercially raised animals large amounts of GMO corn or soy has caused some health problems in the animals, but there is no evidence that consuming GMO soy, oils, corn, or wheat is damaging to humans. Until I see this evidence, I am unconvinced. Soda is simply liquid sugar and empty calories at its best and it is at the heart of the obesity, diabetes, and metabolic syndrome epidemics. Avoid regular soda like the plague. What about diet soda? The fear here is that by drinking diet soda, your cravings for sugar and your sugar intake will cause you to eat more throughout the day. However, this is based on older research that has since been proven to be unfounded. I drink at least one to two diet sodas every day and don’t crave sugar. I also avoid the six to eight teaspoons of sugar contained in a regular soda. Diet soda is a no-brainer to me. Most cold cereals are simply a sugar delivery system—avoid them completely. Whole grain cold cereals without sugar, like shredded wheat, are just fine, though. And when it comes to fat-free dairy products, other than skim milk and yogurt, these foods taste lousy and are really a useless food item. The resurgence of this “food” is troubling to say the least. Although its flavor is appreciated, it cannot be attributed to the bacon, but rather how it is treated and processed before it gets to your grocer’s shelves. Yes, it’s smoked, cured, and dried, and various flavors are added, along with sodium and other preservatives. Bacon is mostly just seasoned pork fat. Sound appetizing? Excuse me, but is this considered real food? Look at the ingredients: meat by-products, sodium, nitrates, fillers, and chemicals that none of us can pronounce. This is the worst of the worst in food choices. I refuse to eat hot dogs! Try lean turkey sausage, instead…it’s not that bad really with sautéed sweet onions. I understand the reluctance here, as they generally taste quite foul and are artificially made to replace sugar. However, “Splenda” is great and I have been using it, albeit sparingly, for years. This is the only sweetener I will use. However, avoiding most of the others, including aspartame, is a very good idea. Hilmantel, R., “14 Foods Nutritionists Never Eat,” Yahoo! Shine web site, July 16, 2014; https://ca.shine.yahoo.com/14-foods-nutritionists-never-eat-144127154.html.